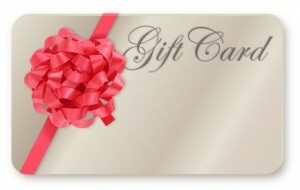 We are pleased to announce that Atlantis Dental Flex Gift Cards are now available, just in time for the Holiday Season. What better gift is there than a healthy, stunning, white smile? Research indicates that people associate a beautiful smile with success, leadership, confidence, as well as a positive, influential, charismatic personality. This year give your friends, family or significant other the gift of confidence by stuffing their stocking with a Flex Gift Card for Atlantis Dental. Flex Gift Cards are redeemable towards any of Atlantis Dental’s modern dentistry solutions, from Zoom! in-office whitening to veneers to one visit crowns. Make the dreams of your loved ones a reality with a Flex Gift Card from Atlantis Dental this holiday. * Available in $25, $50, and $100 denominations. Individual customer purchase limit is $500 in Flex Gift Cards. Must be used within 3 months of purchase date. Must be presented at time of booking. Not valid with any other offer. Treatment is subject to the professional opinion of Atlantis Dental Centre dental professional.